If you’re looking for a quadcopter that is a step above the rest, then you’ll need to look no further than the DJI Inspire 2. It’s a top-of-the-line drone capable of taking footage that belongs in movies. It really is that good. It offers professional level performance and picture quality. The only real downside is that it comes with a professional level price of up to $20,000 USD. However, there are cheaper options at the bottom end. The best news is that there are a ton of features you’re going to love, including a flight time of over 20 minutes, top speed of 94 km per hour, and an unmatched descent speed of 9 m/s. For an expensive piece of equipment, there are all the safety features you’d expect including a double battery, return to home option, and 30 m obstacle sensor. If you’re looking for a quadcopter that is almost impossible to crash, this one from DJI is it! 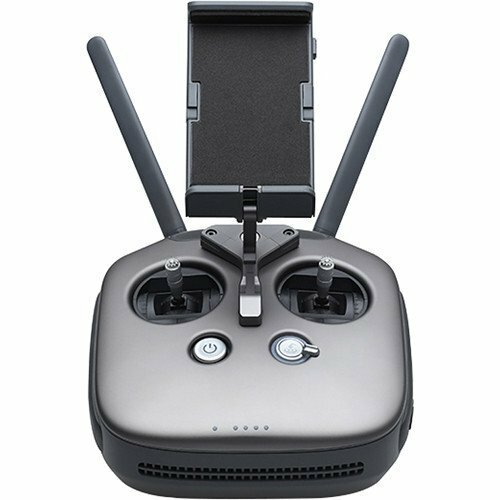 The intelligent flying mode makes it possible to fly the DJI Inspire 2 with a single person, although many prefer two—one to fly, and one to operate the camera. You can use two separate, independent remotes to do this. Keep on reading for our full review of the DJI Inpsire 2, including specs and features, as well as the pros and cons of this new quadcopter. Keep on reading for some of the technical specs of the DJI Inspire 2. Camera specs depend on the package chosen, up to professional level. Market leading safety functions to keep your expensive toy safe! One of the most expensive quadcopters you can buy. 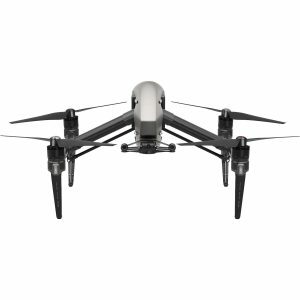 How Does the Inspire 2 Compare to the Inspire 1? Why are 2 Batteries Better than 1? The biggest change from the DJI Inspire 1 to the Inspire 2 is the dual battery. Not only does this protect against battery malfunction, but it also provides more power for a range of functions, including cameras, stabilizers and sensors. It also extends the flight time, to a maximum of 27 minutes. As far as how long the batteries take to charge when fully depleted, you can expect it to take around an hour. The Inspire 2 comes with a new battery dock that lets you intelligently charge up to 4 batteries at once. If you’re looking for a top of the line drone with a camera capable of taking cinema quality footage, look no further than the DJI Inspire 2 Quadcopter. Although not cheap, it has a ton of features that you’ll love. Perhaps the best thing about the Inspire 2 is that it’s basically a tank flying in the sky. It’s almost impossible to lose it, or crash into something because of all the redundancies, sensors and warnings it has. Seriously, even if you were to try and crash it you probably couldn’t. Besides that, we LOVE the double battery system that allows more than 25 minutes of flying time. Plus, the extra power allows you pair the Inspire 2 with some great cameras that have a ton of features. There really isn’t anything not to love about the Inspire 2 apart from the price. However, there are a variety of packages available in a wide range of prices so you’re sure to find something that’ll work for you. The only real difference among the packages is the quality of the camera. You’ll still get the same amazing quadcopter filled with a ton of features. 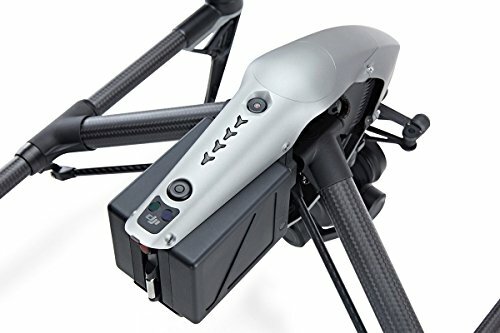 Looking for a cheaper drone with camera? Check out our Top 5 Quadcopters. DJI Inspire 2 Drone With Camera: Have your Say! What are your thoughts about the DJ Inspire 2 Quadcopter. Worth the high price-tag, or are you considering a cheaper drone with camera?